Less than 75% of flights arrive on time according to new analysis of more than 850,000 flights by Which? Canadian leisure airline Air Transat, Icelandair and Norwegian airlines languished at the bottom of our punctuality league table – while KLM, based in the The Netherlands, came top. Which? examined data from the airline regulator, the Civil Aviation Authority (CAA), covering flights arriving in 25 UK airports, on 35 different airlines during 2016. A mere 55% of Air Transat’s inbound flights arrived within 15 minutes of their scheduled arrival time, putting it in last place; only slightly better were Icelandair (56% of flights arrive on time) and Norwegian (60% on time). Most KLM passengers, however, had a smoother journey: 88% of flights arrived on time. It beat Qatar Airways into second place (86%) and Iberia into third (84%). Among the most high profile operators, Virgin Atlantic (79% of flights on time) ranked higher than Ryanair (77%), British Airways (74%) and Easyjet (66%). The most punctual no-frills airlines in the list are Flybe (82%) and Wizz Air (81%). Passengers who travel on delayed flights may be able to get compensation under the EU Denied Boarding Regulations; the exception is where flights are delayed due to ‘extraordinary circumstances’ which are outside of the airline’s control. ‘Extraordinary circumstances’ include problems such as security risks, strikes, or damage to an aircraft due to sabotage or terrorism. But technical problems or the failure of an aircraft component are not ‘extraordinary’. Compensation is provided at a set figure in euros, dependent on how long the delay is and how far you are flying. Delayed long-haul travellers could be entitled to €300 if their plane landed between three or four hours late, or €600 if their flight was at least four hours behind schedule.Passengers flying short haul are also potentially eligible to claim up to €250 if they are delayed by more than three hours. Find out if your flight is eligible by checking our advice on air delay compensation. The future of compensation for delays and cancellations is unclear. The UK government has so far refused to pledge that the law governing this compensation will remain in force after Brexit. Air passengers are already poorly protected when they have a complaint against airlines. In its Consumer Agenda, Which? 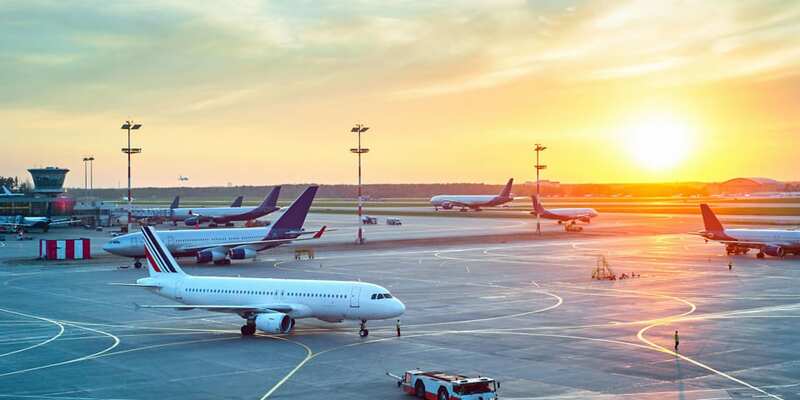 has called for the next government to introduce a Transport Ombudsman that all airlines must join in order to improve the way in which passenger complaints are resolved. Our new analysis features in June’s issue of Which? magazine. Editor Richard Headland said: ‘Flight delays really are one of the most annoying things about travelling. These figures show just how frequently flights fail to reach their destination on time. ‘If you’re unlucky enough to experience a severe delay, compensation is available and people should to claim what they’re rightly entitled to. This can be done easily though our website.